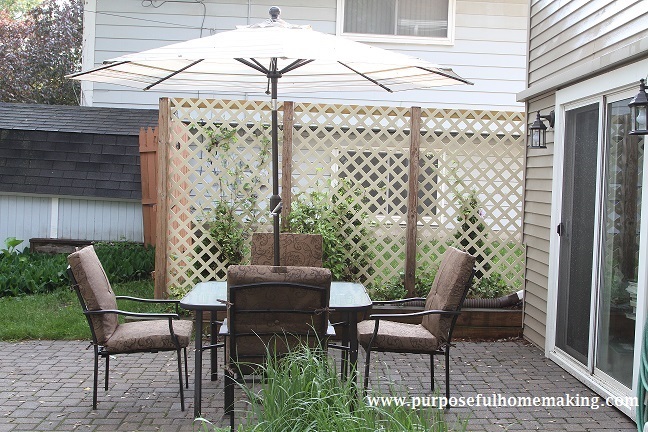 I absolutely love spring and summer and during those times of year, one of my favorite things to do is to eat a meal with my family out on our patio. I love being outdoors and sharing a meal with the people I love most. We have worked hard over the years on our yard to improve it's aesthetic qualities (although we have a ways to go!) 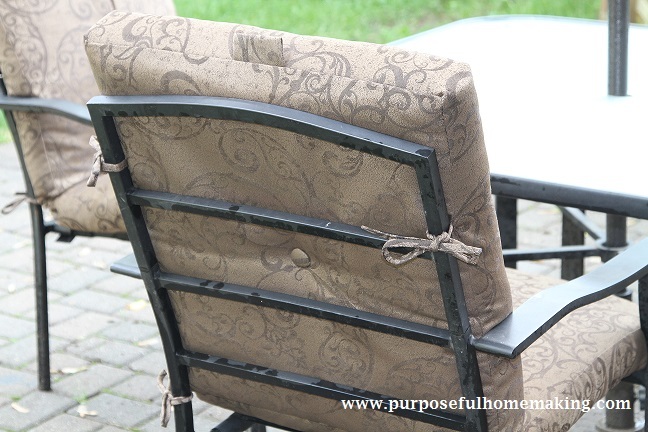 and one thing that is a blessing is beautiful, comfortable cushions to sit on at our patio table. 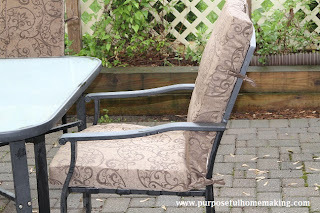 I recently reviewed a set of 4 cushions from Arden Companies, a manufacturer of outdoor products for retailers including Lowes, Walmart, Meijer and numerous other stores. We reviewed their Classic Collection Peekaboo Patio Chair Cushion and are very pleased with them. 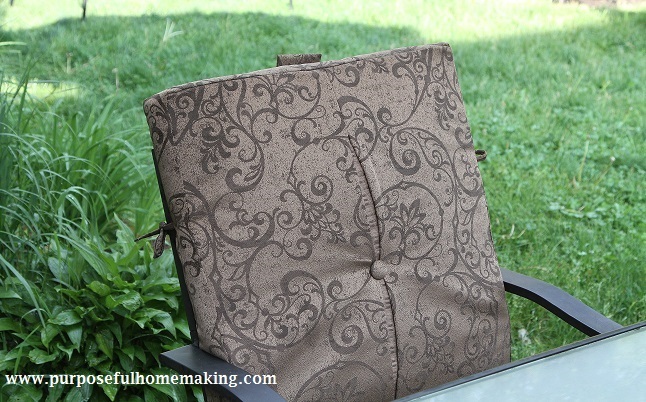 Created by for LIVING, each cushion measures 44"x21" and is made from a polyester-olefin blend that resists fading. Made in the USA, each cushion retails for $39.99. They are padded perfectly. In fact, they are about twice the depth of my former cushions. This makes for a comfortable and relaxing place to sit. I love, love, love the pattern of the cushions, as well as the detail on the upper portion of each cushion. Having the slightly gathered look with a button in the middle certainly adds class to the cushions. Each tie on the cushion is a perfect length. On our former cushions they were a tad too short which made tying them a bit more difficult. I couldn't be happier with these cushions and I'm sure you'd feel the same way. I love dreaming about ideas for our back yard and patio area so if you'd like some inspiration as well, be sure to check out Arden's Bombay Outdoors website for garden ideas and outdoor entertainment ideas. Getting the best furniture for your outdoor patio must be decided thoroughly. Factors like comfortability, design, and price.